Enpedia.net - You might have known that there have been online degree programs nowadays that adults can take to get minimum licensing in a job market. However, we are sure that most people would care more to get to enroll the affordable ones of all. Still, we can’t have the quality to be bad as well. If you are looking for counselor online degree programs rated to be the best in both cost and quality, we have ten universities here where you can take such program from. Now, let’s get down to it here below. Located in Monroe, this university is there to offer you two counseling programs. They are school counseling and clinical mental health counseling. They have pretty much similar curriculum to each other. But, its online school counseling program is one that has been accredited by the Council for Accreditation of Counseling and Related Educational Programs (CACREP) ever since way back in 1989, proving its credibility. Its clinical one has also been accredited since three years ago too. Per year, it charges you with $17,833 tuition fee. Taking the second place, we have Lindsey Wilson College here. It has a unique curriculum to offer. It covers broad perspective on the field of counseling. That is why the program is titled Counseling and Human Development. Talking about quality, this university is very much worth to consider. While the main courses focus on the broad range of subjects, it has separate courses that focus more on the clinical mental health. 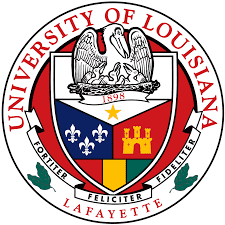 Charging $9,647 per year, this university makes a very good alternative to the University of Louisiana we have first right above. Speaking about Grace College, it is the institution where many aspiring Christian counselors come from. Technically, the focus of its counselor degree program courses is more on clinical mental health, and it uses Scripture as the foundation for it. From personality theories to ethical issues, they are examined from the biblical point of view. Here, you have the freedom to choose the pace of the course plans, but you will have to attend 7-10 day workshop as well as skill training season once per year. Such education charges you $7,872 per year. While Grace College sees everything from the biblical lens, Regent University blends the biblical foundation with contemporary counseling techniques. With that, you will be able to learn strong and balanced approach to practice that is based on faith. Even though this is online counselor degree program, you will need to attend residencies on campus where you will get interactive sessions for a week long. You don’t have to worry even if you are working for it is scheduled in winter and summer. Per year, it charges you about $13,226. Of all universities we have so far, we are sure that you must have at least heard about Oregon State University before. It is one of the several colleges where you will get accredited counselor online degree programs in both counselings focuses; clinical mental health and school. It would take about 50% of web-based course work, but the other half will have you to attend on campus meeting that takes place at OSU’s campus in Salem. The program will also include live online internship and practicum courses. You will have to pay $18,625/year here. Each university sure is different from one to another even though they are all accredited by CACREP. The degree from this university will be housed within the leadership in three things; education, non-profits, and counseling department. It is unlike the others which have their degree housed in simply education or human services. By having cutting edge topics included in the counselor courses for a degree program, you will get to earn reputation in your workplace. 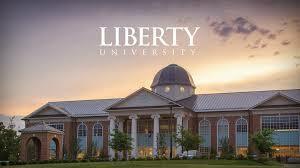 Enrolling in this university to take it will charge you about $15,560 per year. If you are having a problem with your hearing capability, this is the university you should be looking for. It is one especially meant to accommodate the needs of deaf and hard-hearing students. The content of the courses will have it included with relevant things to the deaf community. Online students will be encouraged to promote certain things for all the deaf. The counselor online degree programs it offers will last three years with six semesters of online classes and on campus summer courses. Per year, the tuition fee is $17,626. The university we have here is one which aims to grant the degree to professional educators with at least two years of experience in the field. As students, you will have to work on that by doing the 16-week practicum. Sure, you can arrange the pace of the course in your local community, but you will still need to attend on campus meetings from time to time. Charging $8,430 tuition fee per year, this university makes a great affordable choice, especially for those living in Virginia. We can expect much from the challenging curriculum it has to offer. If you wish for a more convincing university to take online degree program from, this university will make a right choice for you. Why not? First of all, its program won most awards at the Colorado Counselors Association Conference. Second, at the same time in 2015, it also had its program graduates earned 100% pass rate on the National Counselor Exam. Third, many site supervisors said that counseling degree candidates from this university are more prepared in clinical practice. With $13,407/year tuition, it is worth to pick it. Offering licensing as clinical mental health counselor in Florida, this university has every training you need to be covered in its courses. It's counselor online degree programs are divided into three parts. First part will have you impart all the important skills and knowledge. The second part will have you compliment this understanding to through practice. Third part will have you develop particular specialty as you build professional identity. All of that will charge you $12,380 tuition fee per year.